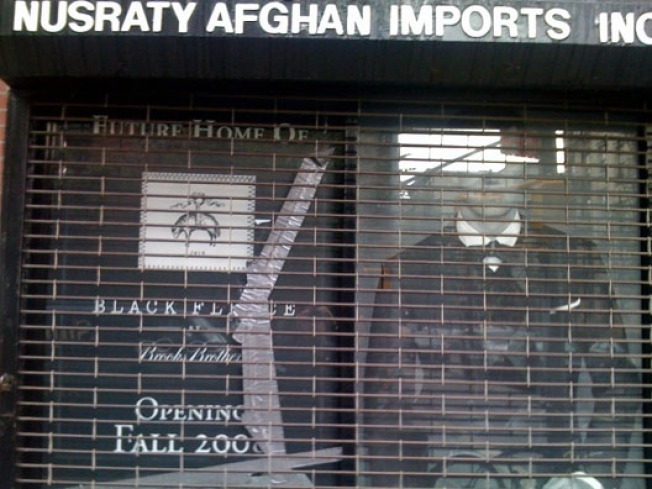 The Nusraty Afghan Imports storefront at Bleeker and Christopher Streets has sat empty since the store shuttered in August, waiting for the arrival of the fashion-forwards Brooks Brothers line Black Fleece. Now, after two months of quiet, something is finally starting to stir over there. In the window, there's a sign announcing the change and promising a fall opening. Hey, it could happen.